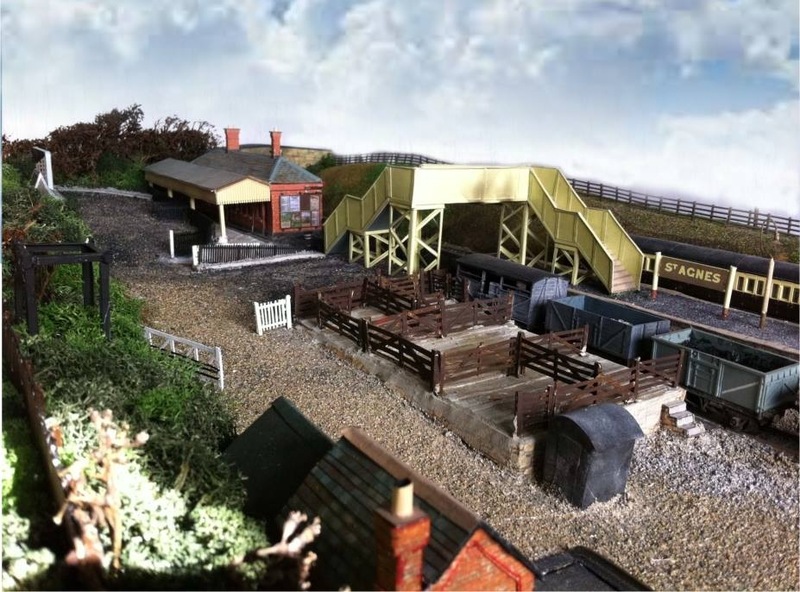 Our stunning new railway display, with its intricate 00-gauge model of St Agnes Station complete with the main building, pagoda shaped cycle shed, footbridge, signalbox, engine shed, and livestock pens. Engines and rolling stock await the Guard’s whistle. Also on display in our railway cabinet are the cast iron signalbox sign and two railway staffs used to control the single track line between Chacewater and Perranporth. 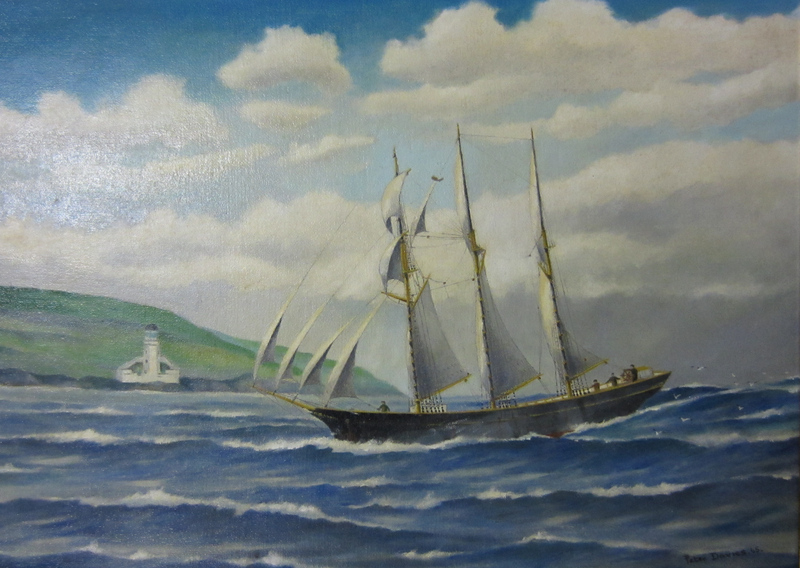 A maritime painting of the Trevellas, a 3-masted schooner launched at Trevaunance Cove in 1876 and, at 128 tons, too large to enter St Agnes harbour. 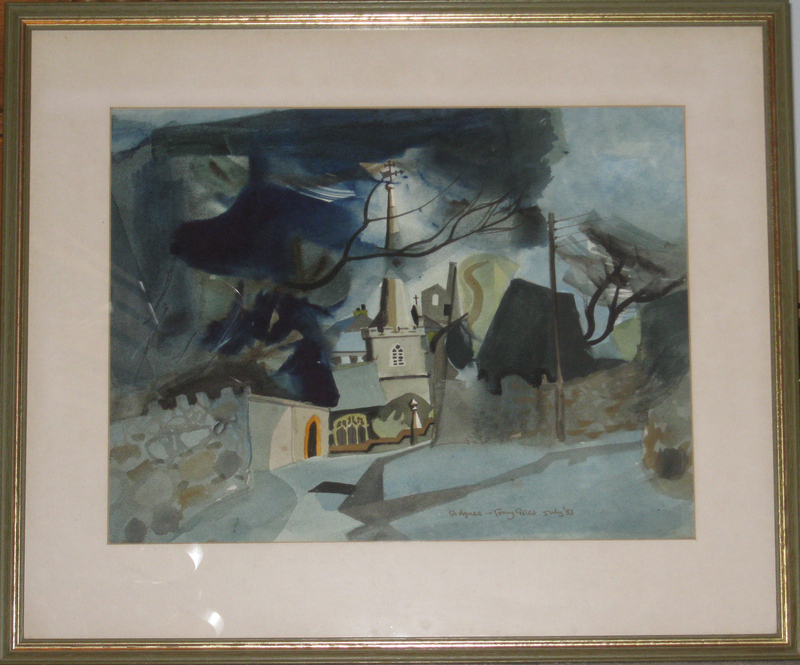 The painter was Commander Peter Davies of Mylor. 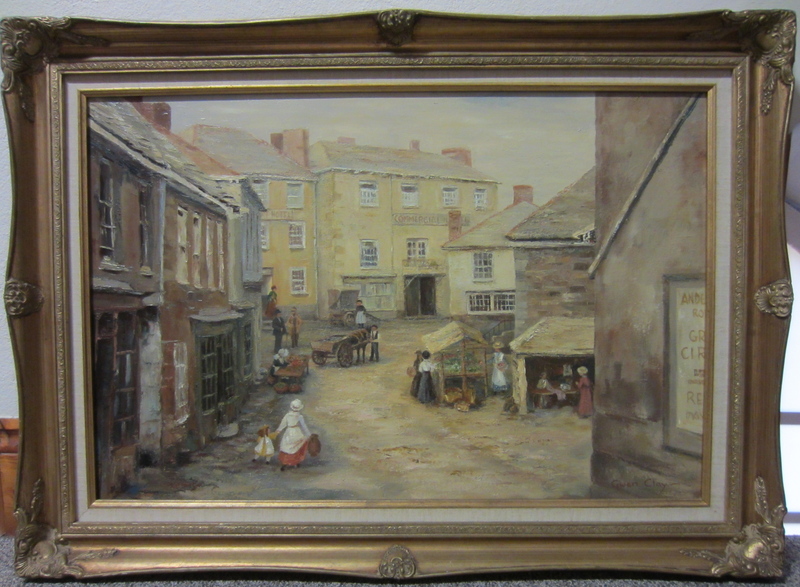 It was donated by the family of the late John Redfearn who was a founder member of the Museum and who commissioned the painting.